To develop understanding of the Bible (Old and/or New Testament) and its critical study. To allow students with prior knowledge of Greek and/or Hebrew to extend their understanding of the language and the range of texts they work with, and/or to learn the other one. Minimum 2:1 honours degree in theology, religious studies, or other related disciplines, or other relevant qualifications and experience. 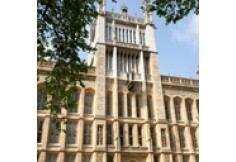 - Unrivalled location allows students access to the British Library and the British Museum. - Long tradition of excellence in Biblical Studies. 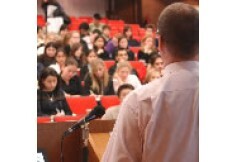 - Regular seminars with papers given by nationally and internationally renowned speakers give students insights and up-to-the-minute knowledge of the subject area. The MA in Biblical Studies enables students to develop their understanding of the Bible (Old and/or New Testament) and its critical study. It allows students with previous knowledge of Greek and/or Hebrew to extend their understanding of the language and the range of texts they work with, and/or to learn another one. It also enable students without Greek or Hebrew to learn either language. The Methods & Foundations module Reading the Bible gives students the opportunity to assess and experiment with a range of interpretative methods. Particular emphasis is given to more recent approaches to biblical interpretation, such as social-scientific, narrative and ideological approaches. Students can take modules on Greek and Hebrew texts, such as Romans 1-11 or the Passion and Resurrection, Narratives of the Four Gospels and subject-based modules such as Paul's Writings: Special Study of Chosen Passages. Teaching is seminar style (no formal lectures), and empahsis is placed on learning through guided reading and independent analysis and participation in class discussion. The dissertation enables students to explore a subject in detail and to work independently in conjunction with lecturer supervision. Taught core and optional modules assessed by coursework and/or examination plus a 15,000 word dissertation.